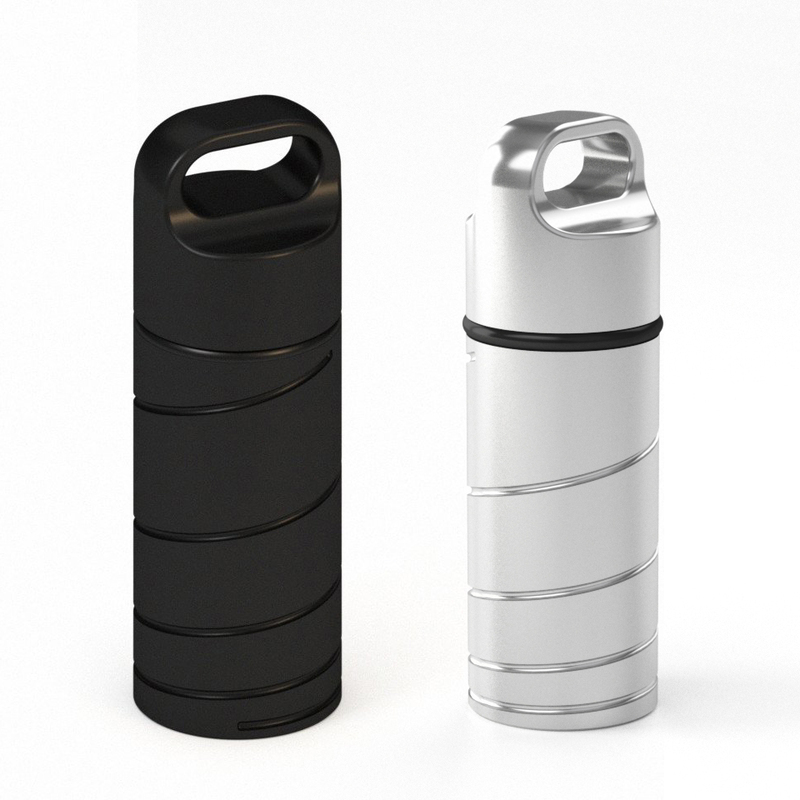 A portable steel container for carrying bills, pills, or other small items safely on your person. 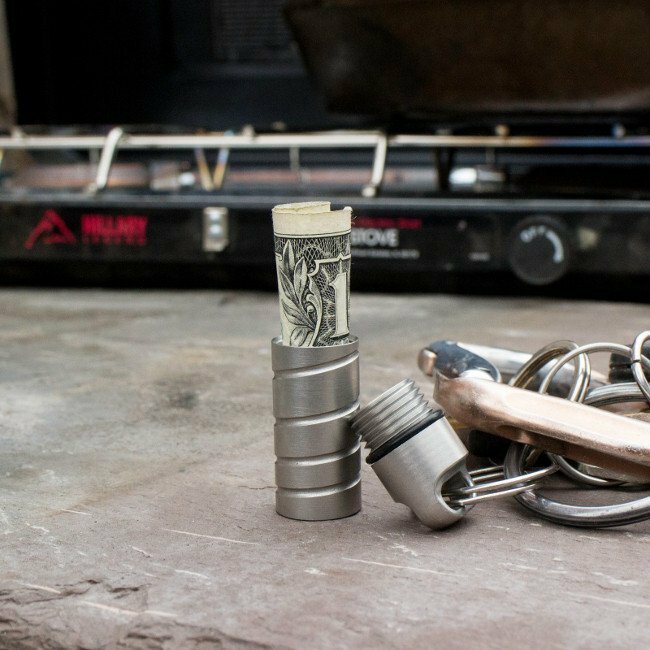 It easily attaches to your keychain, a pendant, or a bracelet, and has a waterproof design. Comes in black or natural stainless. 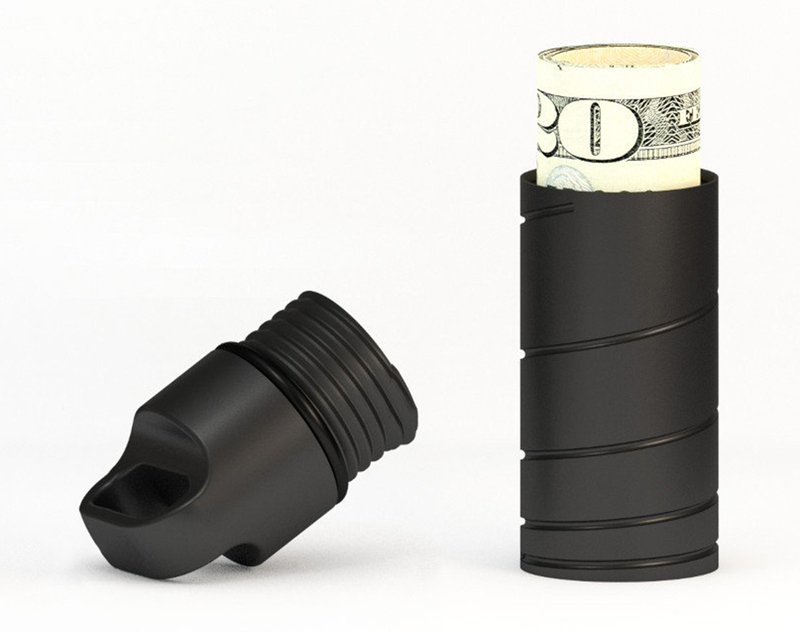 Measures 2.25″H x 0.625″D outside, 1.84″H x 0.475″D inside.